EFCC traces N8.8bn luxury apartments to Diezani in Dubai. The Economic and Financial Crimes Commission (EFCC) has traced two luxury apartments, worth 74m Dirham (N8.8bn) to former Minister of Petroleum Resources Diezani Allison-Madueke in Dubai in the United Arab Emirates (UAE)... The Nations report. The anti-graft agency has opened talks with UAE authorities on the seizure of the assets. “Following intelligence report, we have started tracing some assets of some politically exposed persons, including ex-governors, ex-ministers and serving and present public officers. “As I talk to you, some of those on the EFCC radar are about seven ex-governors, six former ministers and ex-military chiefs under probe and agents / fronts of some of these public officers. 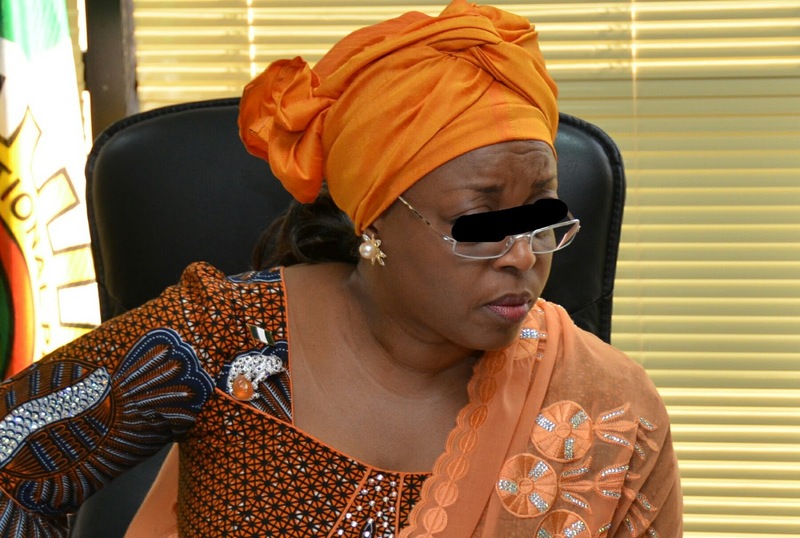 “So far, we have been able to identify two apartments allegedly identified with Diezani. These assets were said to have cost about 74million Dirham. “The apartments include the one marked as J5 Emirates Hills (30million Dirham) and another tagged E146 Emirates Hills valued at 44million Dirham. “A team from the EFCC will soon leave for Dubai for more investigation and talks with the UAE authorities. The anti-money laundering policy of UAE Central Bank reads in part: “Any person who commits, or attempts to commit, a money laundering offence shall be punished by imprisonment of up to 10 years and or a fine of between AED 100,000 and AED 500,000. “In cases of multiple perpetrators, the court, subject to its discretion, may exempt a perpetrator from the imprisonment penalty, if he takes the initiative and reports the crime to the competent authorities prior to the knowledge of such authorities and if his actions lead to the arrest of the other perpetrators or seizure of the laundered money. “Any establishment that commits an offence of money laundering, financing of terrorism or financing of any unlawful organizations, shall be punished by a fine of AED 300,000 and AED 1,000,000. “Failure to report a suspicious transaction shall be punishable by imprisonment and /or a fine of between AED 50,000 and AED 300,000. “Tipping off a person being investigated regarding a suspicious transaction shall be punishable by imprisonment of up to one year and/ or a fine of between AED10,000 and AED 100,000. Meanwhile, the EFCC and some intelligence agencies in the United Kingdom and the United States have raised a joint team to trace and recover looted funds and assets by some ex-governors, ex-ministers and former military chiefs in the UK. The inventory of some of the assets bought with looted funds in the UK has begun. According to findings by our correspondent, the Acting Chairman of EFCC, Mr. Ibrahim Magu, just returned from London where he met with his 10 other colleagues, including those from the National Crime Agency(NCA), FBI, Department of Justice and Crown Prosecution Service, among others. “The EFCC and these agencies have agreed to collaborate to trace and recover looted funds and assets. “Already a team of forensic experts and investigators are working on digital evidence to locate these assets and slush funds. “So, there is no hiding place for all these politically exposed persons in the UK, the US and other destinations where they have stashed looted funds. There is a long list of suspected Politically Exposed Persons(PEPs) that these agencies will be working with. “As a matter of fact, the EFCC and some of these agencies have been making use of intelligence to take inventory of some questionable assets belonging to some former governors, ex-ministers and other Politically Exposed Persons in London. Some whistleblowers, including a few fronts, are assisting in this regard.